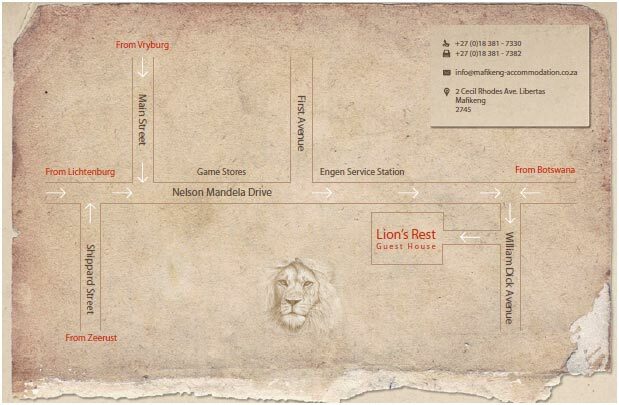 Lion’s Rest is centrally situated in Mafikeng. It is in close proximity to the International School of South Africa, the Convention Centre, North West High Court, and various shopping centres. Other attractions close by include the Leopard Park Golf Course, malaria-free game reserves, and the casino. We are in close proximity of the Mafikeng Airport as well as Wondergat for scuba – diving enthusiasts.